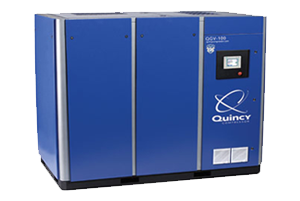 As experts in industrial compressed air equipment, Q Air-California specializes in the distribution and service of a wide range of oil-flooded rotary screw compressors. Our partnerships with multiple leading manufacturers across the globe ensures that our range features only the very best in design and technology to guarantee efficiency, reliability, and productivity, offering you proven equipment right here in Ventura & Los Angeles. More importantly, we realize the importance of having compatible air compression equipment for your specific applications. That is why our professional and highly skilled and experienced engineers and technicians are always ready to discuss your unique air compression needs and provide personalized guidance to ensure that you get the right equipment for the job. At Q Air-California, we realize that reliable and consistent air compression is of the utmost importance for your machinery and production processes. Our air compressors are proven to operate 8000 hours per year for a decade and 100% capacity with minimal problems. Still, we are always available, round the clock, 365 days a year, to provide scheduled maintenance and emergency repair services for all our compressors, ranging from 10 to 400 HP. At Q Air-California, we understand the value of your air compression equipment, so we work with you to optimize its performance and longevity. Whether you have a new or fairly old oil-flooded rotary screw air compressor, our team will help you maintain it and maximize its efficiency. We have an abundance of stock parts from most of the leading brands in the industry, and use a systematic approach to help you eliminate or minimize inefficiencies in your air compression unit. Contact us today to discuss more about your industrial needs.